Samaleswari temple trust board is planning to beautify the heritage pond in its premises with light and sound show in order to attract more tourists to the famous shrine. 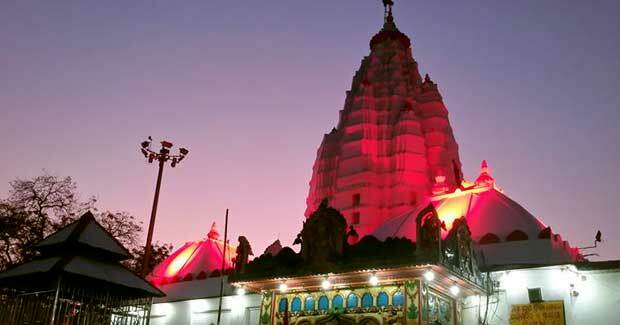 Mahanadi Coalfields Limited (MCL) has agreed to provide Rs 25 lakh for the Sound and Light show at the Samaleswari temple in Sambalpur, Odisha. The temple trust board has also placed a proposal before the Odisha Tourism Development Corporation (OTDC) for implementation of the project. The sound and light show at the heritage pond of the temple would act as an added attraction for the tourists who visit Samaleswari temple. The heritage pond was renovated by the tourism department and an amount of Rs 5 lakh was spent on desilting the water body. Pathway has been constructed at an estimated cost of about Rs 11 lakh around the water body. Decorative lights have also been installed surrounding the water body to make it more beautiful. Similarly Rs 37.25 lakh will be spent on the landscaping and Rs 10.23 lakh for tiling besides Rs 9.1 lakh on the other beautification work near the pond. It is hoped that the sound and light show at the pond will be helpful in attracting more number of visitors to the Samaleswari temple.